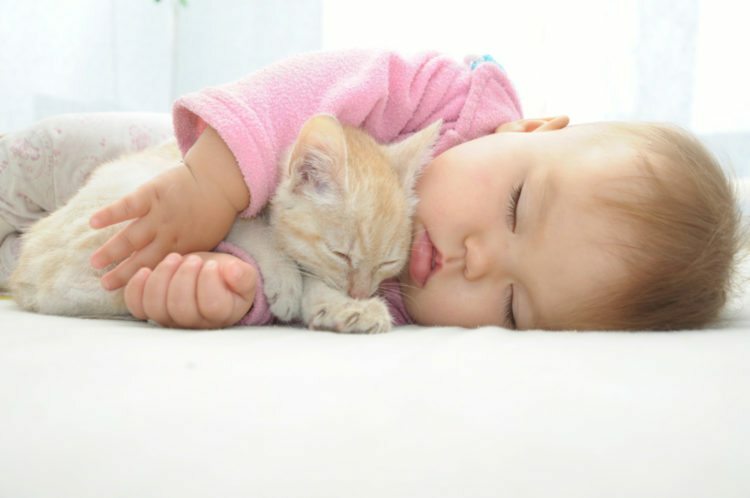 If you have a newborn at home (or one on the way), you may be concerned that your cat or dog is going to up the germ factor in your home. But, according to one recent study , having a pet at home may in fact lead to better health for your little one—even if mom is only exposed while pregnant. Researchers analyzed 746 households over the course of three years and found that homes where pregnant moms and little ones were exposed to cats or dogs results in babies with higher levels of “good for you” gut bacteria, the kind that helps fight off health conditions like allergies and obesity. 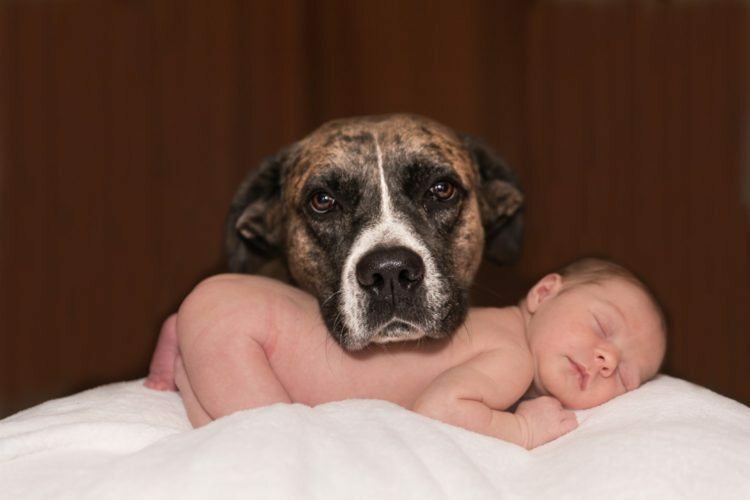 This is great news for families with furry friends (though you still probably want to keep your dog from directly licking your baby’s face ). If you are pregnant and do not have a dog or cat—but have thought long and hard about bringing one into your family—perhaps now is the perfect time to act. The study showed that prenatal and/or postnatal exposure resulted in an enriched abundance of oscillospira and/or ruminococcus—the gut microbes that have been associated with a lower occurrence of childhood obesity as well as allergies later in life. This may be especially beneficial for babies delivered via cesarean section. Studies have shown that C-section babies are at a higher risk for obesity than babies delivered vaginally. Researchers hypothesize that a lack of the “good bacteria” transferred from mothers to babies during vaginal deliveries could have a hand in this tendency for weight problems. It’s possible, then, that pets in the home during pregnancy and immediately after babies are born may help to make up for this lack of exposure. If you are considering the addition of a furry new family member but cannot deal with the thought of simultaneously dealing with diapers and housebreaking a puppy, rescuing an older, trained dog or cat might a good solution.